Only 16 Days to go until SCGC! To get you in the mood, one of our vendors will be telling you about themselves. 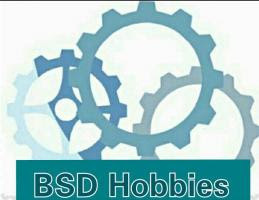 BSD Hobbies are a small Swansea based company making a range of laser cut hobby and gaming components in acrylic and MDF. Including templates, tokens and gaming aids for both wargames and board games. The majority of the stock is made to order, with an extensive list of 20 different acrylic colours to choose from, as well as optional personalisation on larger items. In addition to standard templates, custom items can be produced for specific games or applications. Other products include custom built scale models such as the National Waterfront Museum and Swansea pump house in O-gauge.